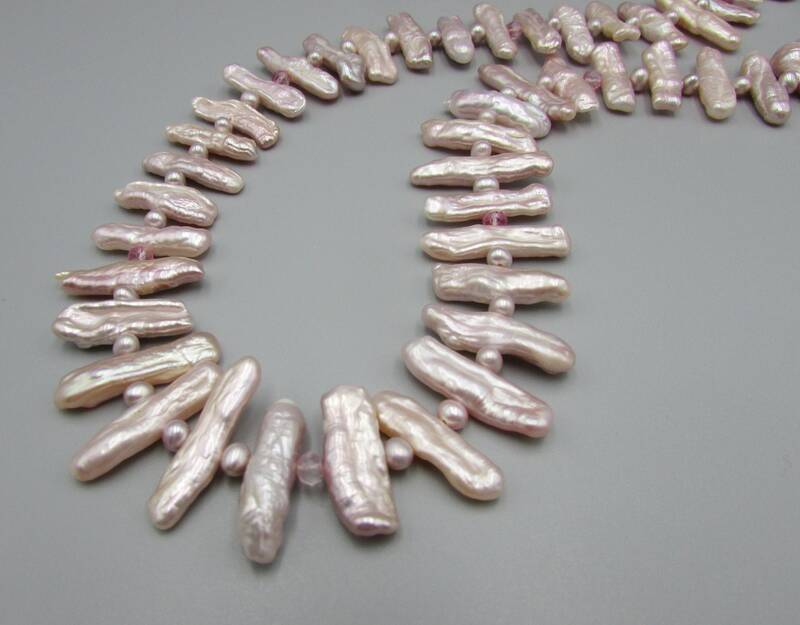 These gorgeous Biwa Pearls have a stunning luster and shine, I added with 3mm lilac pink seed freshwater pearls, 4mm Pink topaz and finished with a 14kt gold filled lobster clasp. 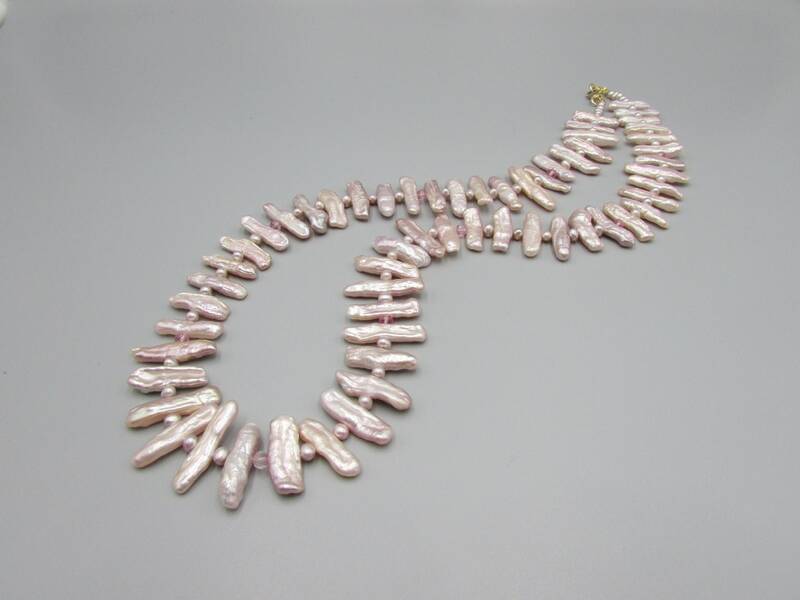 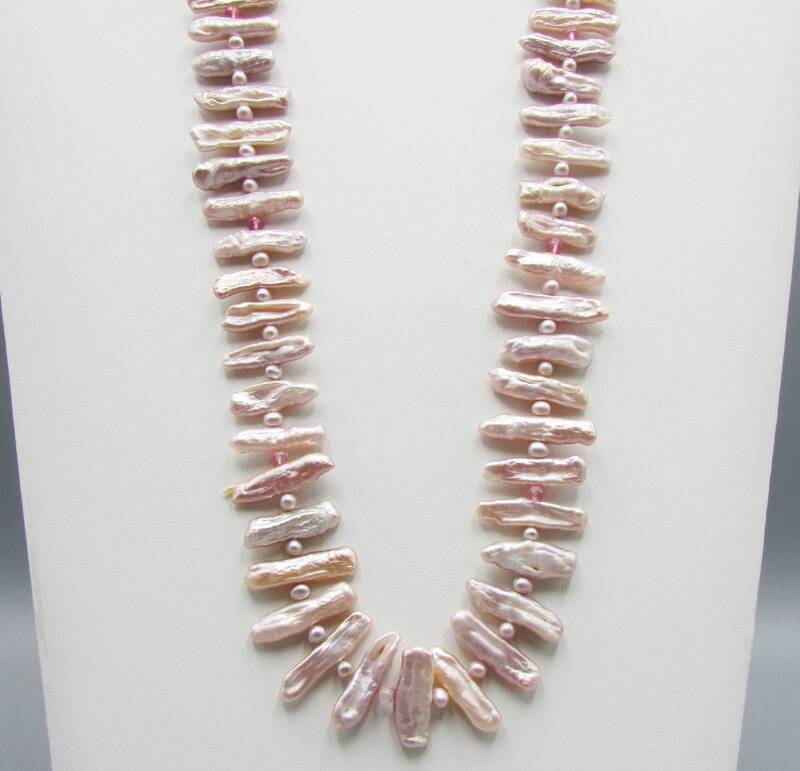 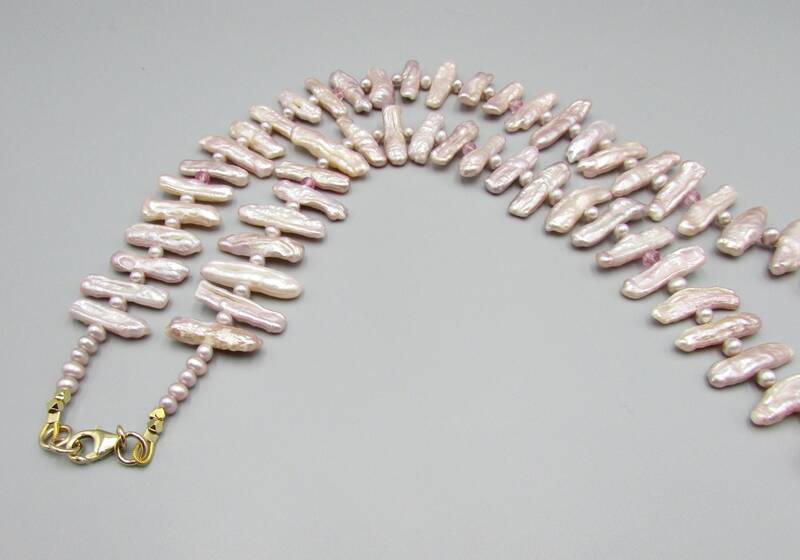 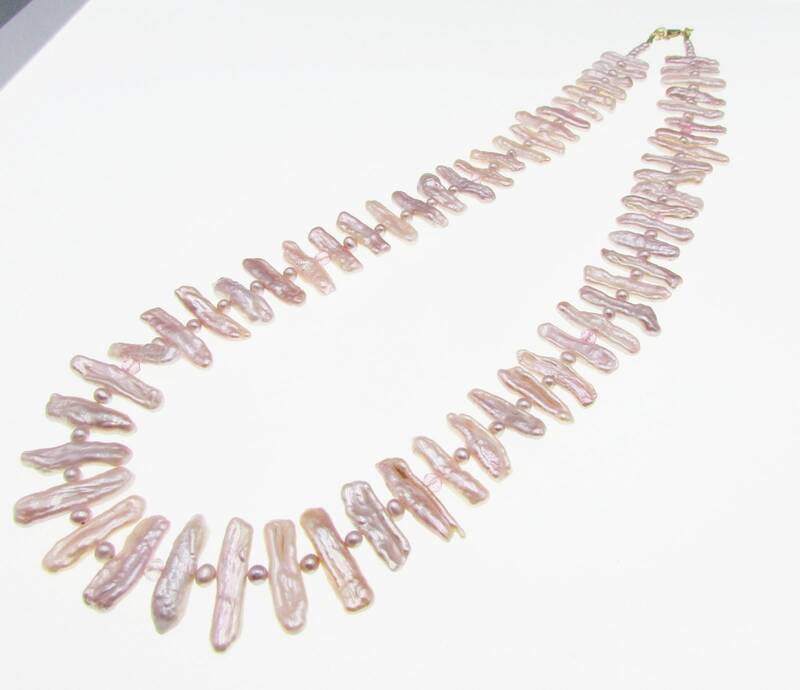 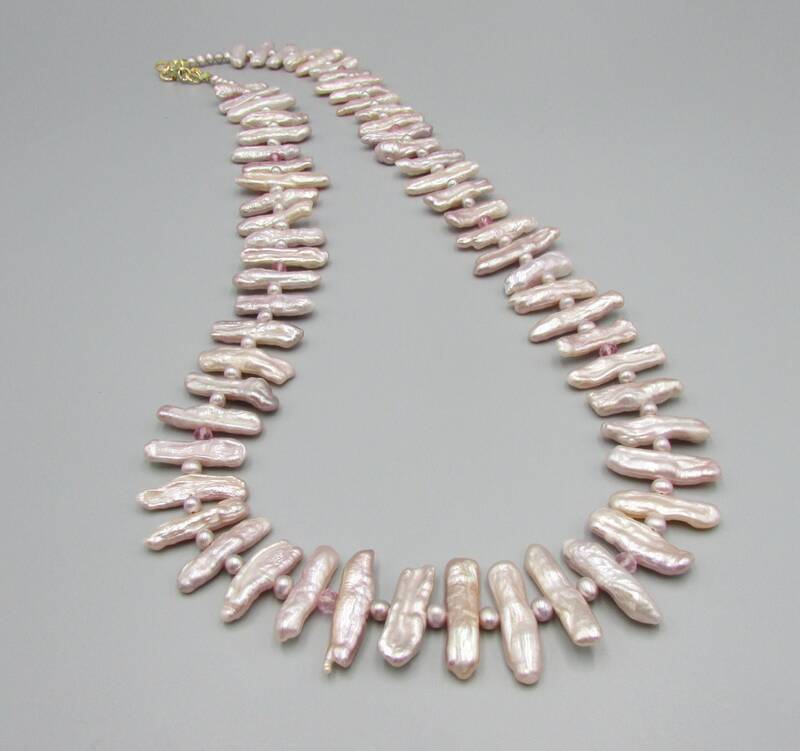 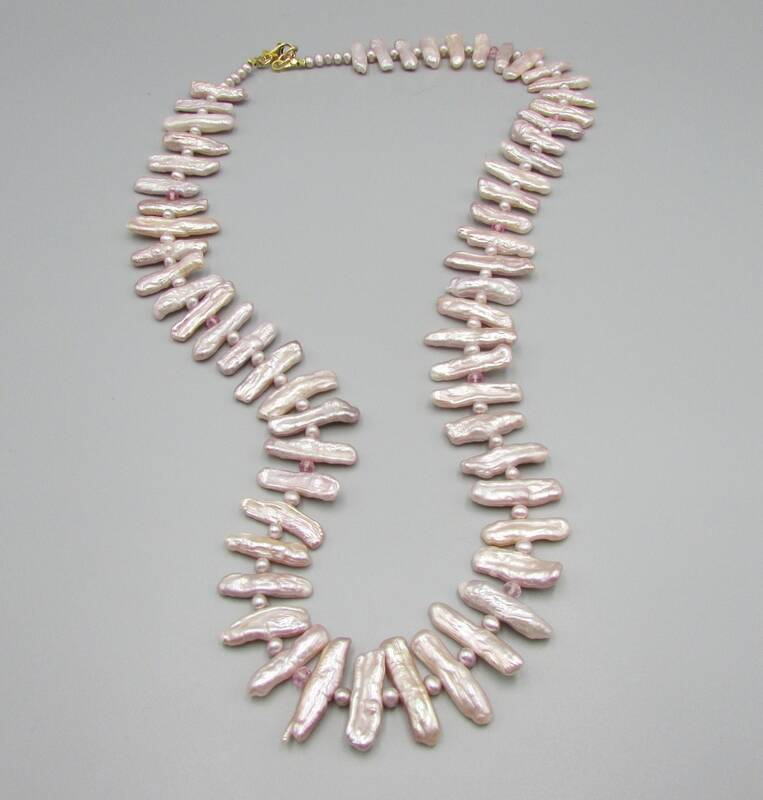 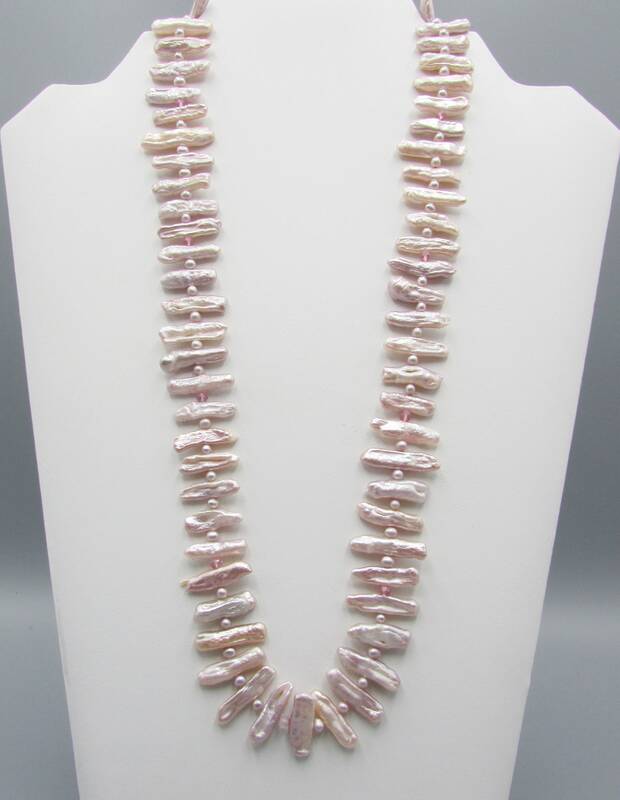 The biwa pearls have varied lengths, but all about 1 inch long, the color is a very light shade of dusty rose with hints of lilac. 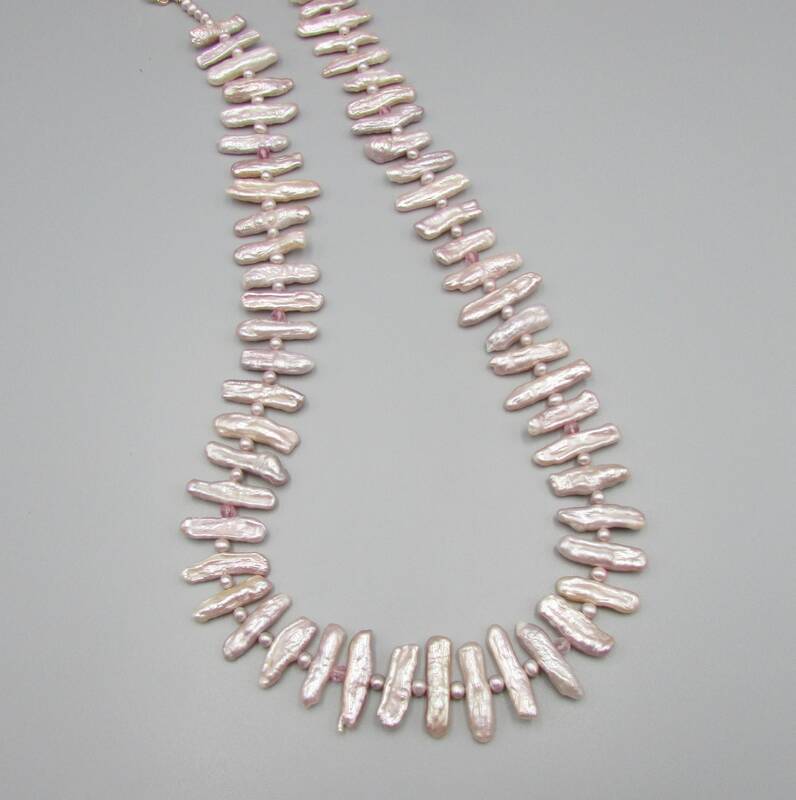 The length is 23" long.